A relatively new innovation, arising from a survey that was conducted amongst our members in 2017, is our quarterly Newsletter. This will be published in January, April and July. It will also be published in October to coincide with the installation of the new Master. The focus of the Newsletter is very much on being a regular source of current information for our members, and it includes the information that was previously sent to members as “Clerk’s Notes” as well as short articles on recent news and events. 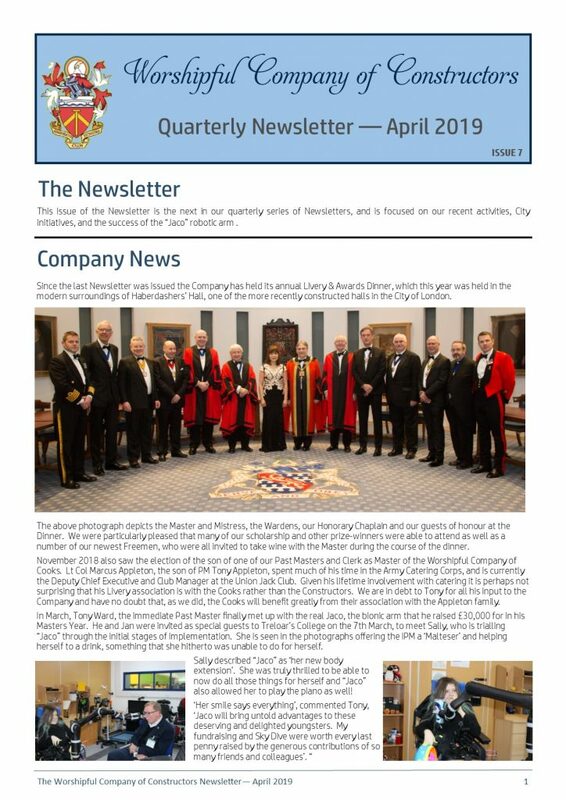 The seventh edition of the Newsletter was distributed in April 2019. It focused on focused on our recent activities, City initiatives, and the success of the “Jaco” robotic arm .